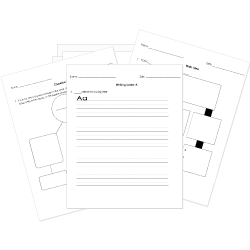 You can create printable tests and worksheets from these Grade 9 Authors questions! Select one or more questions using the checkboxes above each question. Then click the add selected questions to a test button before moving to another page. Where does the raven perch when he comes into the house? What happens when the author opens the door? Which genre does Edgar Allen Poe's "The Cask" belong to? What was Shakespeare's first name? How are imagery and irony used in the poem "Harlem" by Langston Hughes? Please identify figurative language in Langston Hughes' poem, "Harlem." Poe lost several family members, including his wife, to which disease? Poe was widely known as a during his lifetime. What is the lead robbers nickname?